I’ve just had one of my best ‘idea days’ ever and I want to share the secret with you. Let me explain. I was in Scotland licensing a new RenewYou trainer. I had a day ‘spare’ by which I mean a day without appointments. Being out of the office meant I didn’t have any visible reminders of work; I was in my daughter’s flat in Edinburgh and being very well looked after (tea in bed, bliss). My daughter was at work, I had answered all my emails, the sun was shining and so I took a walk. I’ve visited Edinburgh at least once, usually more, every single year of my life and I think I know it reasonably well. 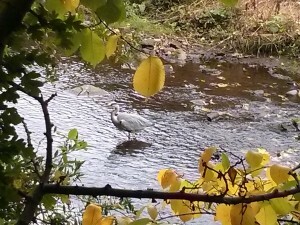 I took a wee path meandering along the side of the waters of Leith, when the sight above made me catch my breath. The waters run through the city; my walk had a backdrop of the usual city noises, sirens, traffic, building work etc. 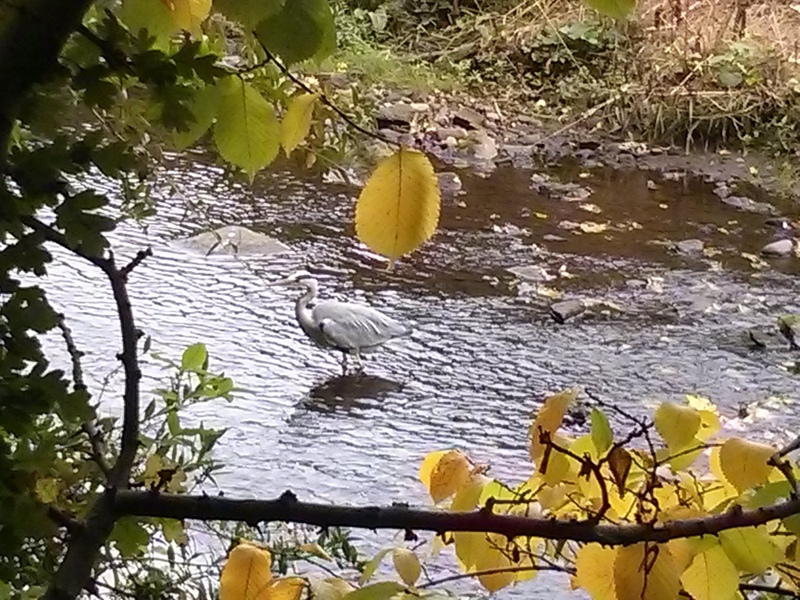 Suddenly, there was this heron, oblivious to it all. He/she was standing so still and serene I had to watch for several moments to make sure it wasn’t a spoof statue placed there as a prank. But it was very real and I watched entranced for several minutes before resuming my walk. How clever of that bird, I thought, to be still and serene amidst all that noise. Coming home I realised that my day of calm had enthused me with so many ideas. My huge passion is women’s personal development and my RenewYou course with the opportunity to empower and enthuse women right across the world. One of the ways I’m doing that is helping ‘my’ licensed trainers be the best they can and helping them develop their own businesses (if they wish). It’s been an unexpected bonus of licensing out the course working with such extraordinary women. It’s also been a lot of work, however delightful. I never get ‘stale’ these days as I genuinely love my work yet my day off made me realise that I do sometimes need to stop for a while. I returned from my day of meandering full of ideas and with renewed energy and vigour. If you’re looking for some inspiration try your own do nothing day. Stand still and serene amongst the noise of everyday life now and again. Once we make space the ideas and inspiration floods in. P.S. If you’re already a licensed trainer, watch this space! I’m full of ideas….